If your spouse is not cooperating in the divorce process, you may think you have no options to get out of an unhappy marriage. But while an uncooperative spouse can make the divorce process take longer and be more costly, the court in Alabama has the authority to grant the divorce even if your spouse opposes it. For example, the judge can grant a default divorce and any requests made by you in your divorce complaint. To begin the divorce process in Alabama you must complete and file a divorce complaint, which includes the relief you are seeking, such as child custody and alimony. You are also required to state a ground, or reason, for the divorce. Alabama recognizes several at-fault and no-fault grounds for divorce. For example, you can file for divorce based on the no-fault ground of incompatibility or the at-fault ground of adultery. If you file based upon an at-fault ground, you will need to provide proof to the judge of your spouse's wrongdoing. In addition to the complaint, you must file a cover sheet and summons in the circuit court of the county where your spouse currently lives. After you file the complaint, provide your spouse with a copy of the filed documents by arranging for personal delivery via a private process server or the sheriff. This is referred to as service of process. 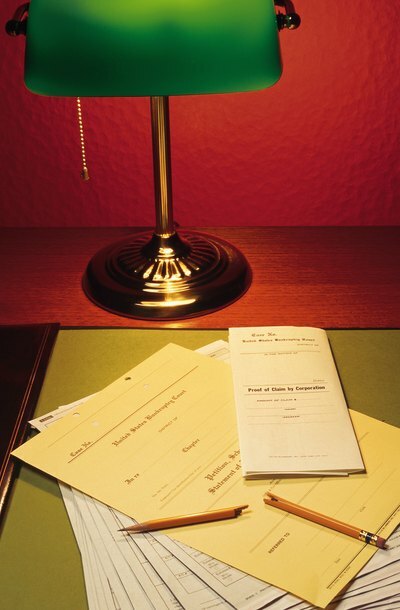 The court will ask you to complete a form describing when and how you served your spouse with the filed documents. If your spouse refused to enter into a marital settlement agreement, he can respond to the complaint by filing an answer objecting to the terms you requested. A settlement agreement is a contract between you and your spouse that sets out mutually agreed terms of the divorce, such as the division of marital assets and child custody. To facilitate a settlement agreement, the court has the authority to order mediation if your spouse has responded to the complaint but you cannot agree about the terms of the divorce. In Alabama, your spouse has 30 days from receiving notice of the complaint in which to file an answer. An answer responds to all of the terms of the divorce in the complaint. If your spouse objects to any of the terms you requested, the divorce will be a contested one and take longer to finalize. If your spouse does not answer the complaint and refuses to appear in court, he will not be able to contest the grounds for the divorce. If your spouse does not respond to the complaint, the court may enter a default divorce, where the judge may base her opinion entirely on one spouse's testimony. To obtain a default divorce, you may need to appear before the judge and testify under oath regarding the information contained in your complaint. Your spouse may be able to appeal the default divorce by filing a Motion to Set Aside Default Judgment with the court within a certain amount of time following the final order. In determining whether to grant the motion, the court will consider several factors including whether unfair prejudice will result if the court does not set aside the default judgment. For example, if considerable property was distributed to you, the court may reopen the case to determine if the distribution was appropriate. Kentucky is a no-fault divorce state. Parties do not have to allege any particular fault in their divorce complaint beyond “irretrievable breakdown of the marriage.” If your spouse is served and does not answer, or if you aren’t able to locate your spouse for service, you can get divorced via default judgment. Getting a default judgment in Kentucky requires following a strict procedure. The judge’s order will depend on the method by which you obtained the default judgment. Each county will have its own set of rules, so make sure to check with your county clerk before you get started.